In this article, we will see creating the Index. A non-clustered index is useful for columns that have some repeated values. Say for example, AccountTypecolumn of a bank database may have 10 million rows. But, the distinct values of account type may be 10-15. Aclustered index is automatically created when we create the primary key for the table. We need to take care of the creation of the non-clustered index. 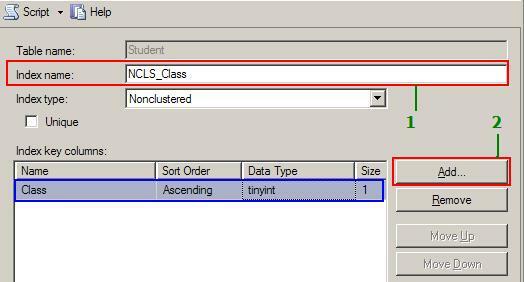 In the select column dialog, place a check mark for the column class. 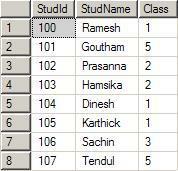 This tells that we need a non-clusteredindex for the column Student.Class. 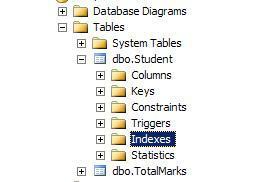 You can also combine more than one column to create the Index. 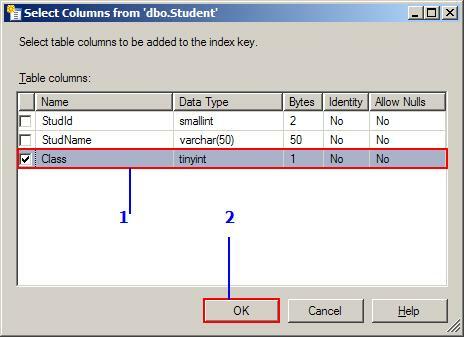 Once the column is selected, click on the OK button. You will return the dialog shown above with the selected column marked in blue. Our index has only one column. If you selected more than one column, using the MoveUpand MoveDown button, you can change order of the indexed columns. When you are using the combination of columns, always use the highly repeated column first and more unique columns down in the list. 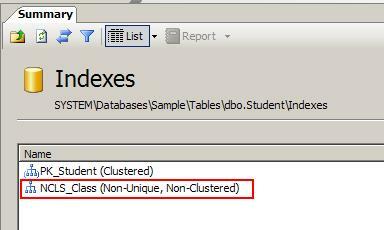 For example, let use assume the correct order for creating the Non-clustered index is: Class, DateOfBirth,PlaceOfBirth. So here, you can easily get all the records that have value for class = 1. Map this with the Book index example now. you (not that I really will need to…HaHa). You definitely put a fresh spin on a subject which has been written about for years. User-defined function in SQL Inversion Of Control(IOC) or Dependency Injection(DI)?